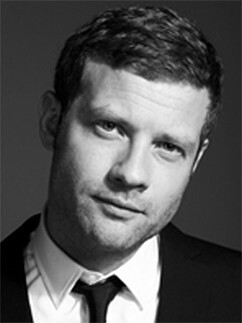 One of the most recognisable faces on British – and Irish – TV screens nowadays is that of Dermot O’Leary, the likeable presenter who has made The X Factor his own and is also the veteran of many popular television and radio ventures. Many in the UK, and even in Ireland, may not realise that Dermot is first generation Colchester-Irish and that both his mother and father, Maria and Seán, are from Wexford. They were among the many who made their way from Ireland to England back in the late 20th century, when the domestic economy was still struggling to catch up with its European counterparts and opportunities were few and far between for young adults just out of school and college. While times have changed since then and we’ve seen a boom, recession and now a recovery to the extent that Ireland was recently named the fastest-growing economy in Europe, that legacy of Irish emigrants remains in many countries throughout the world, not least in the UK. It’s often the case too, that the Irish communities in far-flung parts of the globe insist on maintaining their original heritage and ensuring that the generations that follow, even though they’re born away from Irish soil, are aware of and proud of their roots. CURRACLOE BEACH WAS MY FAVOURITE PLACE AS A KID. A MAGICAL BEACH. That’s certainly the case with Dermot O’Leary – or Dermot Seán Fintan O’Leary to give him his full name – who says that, in relation to Wexford and his parents’ origins in the county, he “always felt a connection to the area” when he was growing up. He always speaks with pride about his connections to Wexford and indeed, holds dual British and Irish citizenship. Following his childhood in Colchester where he attended St Benedict’s Catholic College, Dermot broke into broadcasting when he landed a job as a DJ on Essex Radio, before earning a slot as a presenter on Channel 4’s T4 slot on television. He then went on to present Big Brother’s Little Brother, a spinoff of the Big Brother behemoth, on E4 before taking over as The X Factor’s main host in 2007, running the gauntlet with the likes of Simon Cowell, Louis Walsh and Sharon Osborne. As could be expected, he says “fond memories include going to the beach and watching hurling,” so that’s in line with most other people who choose to summer in Wexford and take advantage of the sunny climate, local activities and spectacular natural surroundings. Of Wexford town itself, he says what he likes about it most is that it’s such a friendly town, while he encourages visitors to the area to visit that beautiful, golden stretch of strand just outside the main urban centre. “Curracloe beach was my favourite place as a kid. A magical beach.” Not many would disagree with him there. The D-Day landing scenes from the movie Saving Private Ryan (1998) were filmed on Ballinesker Beach in County Wexford. Filming on the beach began in June of 1997 and it is estimated that the equivalent of nearly €5 million was injected into the local economy as a result.